Welcome to Jacksonville’s Foot & Laser website. 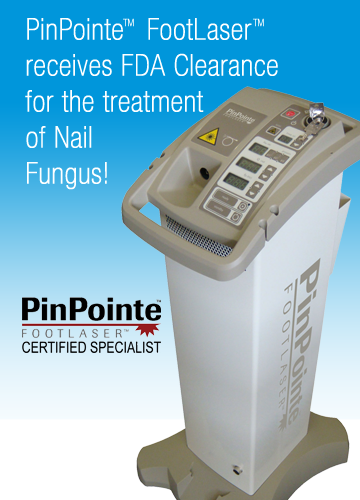 Being a leader when it comes to the newest advancements in technology and procedures is a must for our podiatry office. We only use state of the art diagnostic and therapeutic equipment. At Jacksonville Foot & Laser, Dr. Jeffrey Burmeister takes great pride in providing excellent medical care and taking the extra time to explain issues our patients are experiencing and the treatment options that are available to correct these problems. Education is one of our top priorities. A well informed patient is better prepared to make decisions regarding their health and well-being and this information results in higher success rates for our patients. One of the goals of our website is to provide you an extension of care. As you navigate through the site you will find a wealth of information about all of our services. Get to know our doctor, staff, office locations, hours, appointment procedures, directions and contact information. You can even schedule your appointment online using our easy to use Scheduling Tool located on the “Contact Us” page. Jacksonville Foot & Laser is a Proud Member of both the APMA andFPMA.